Home /China, China-India/Will Sri Lanka be able to balance between China and India? Written by Shakthi De Silva. “It is for the people of Asia to run the affairs of Asia, solve the problems of Asia, and uphold the security of Asia,” Chinese President Xi remarked at the 2014 Conference on Interaction and Confidence-Building Measures in Asia. But can the two rapidly surging Asian countries live in co-existence and collaborate with one another, respecting each party’s security and economic concerns in their quest to ‘run the affairs of Asia’? Over the years, China has demonstrated a growing aspiration to exert leadership through various multi-lateral platforms. Regional Comprehensive Economic Partnership, BRICS, Belt and Road Initiative (BRI), the Asian Infrastructure Investment Bank (AIIB), and the Shanghai Cooperation Organisation (SCO) clearly manifest this desire. Incidentally, Sri Lanka is a member of the AIIB, and BRI and is a dialogue partner of the SCO. Among these initiatives, Chinese scholars view the BRI as the zenith of China’s projects, setting a new international order and a model for regional cooperation and international economic integration. Undeniably BRI is redefining the China-India relationship notwithstanding India’s refusal to be part of it. The myriad of projects spanning Asia to Europe which come under the umbrella of BRI alongside Chinese soft and hard power strategies, demonstrates Beijing’s desire to replace or restructure America’s unipolarity with a world order of its own. Naturally, this increases the complexity and difficulty in mollifying fears, especially India’s concern, of a “Chinese Threat”. The most important security mechanism in the Asia-Pacific region, i.e. the US hub-and-spokes bi-lateral security system beheld Chinese inroads into regions once considered as America’s sphere of influence. China now boasts of a security involvement with the four principle sub-regions of Asia and the Pacific (North East Asia, South East Asia, South Asia and Central Asia). Former Premier Wen Jiabao noted, “There is enough space in the world for the development of both China and India.” But many Indian scholars and think-tanks consider China’s incursions in South Asia as an effort to encircle India with a long-term intention of reducing India’s status and influence as a regional power. Over the last few years tensions between the two states have been simmering. Beijing barred New Delhi from becoming a member of the Nuclear Suppliers Group, blocked India’s attempts to list Masood Azhar as a terrorist at the United Nations, and even routed its energy pipelines through disputed territory in Kashmir showcasing scant regard for India’s calls for the pipelines to be re-routed. A recent Pew Research survey captured this bubbling tension rather lucidly. According to its assessment, India’s public perception of China had declined from a 35 per cent favourable outlook in 2013 to just 26 per cent by 2017. In 2017, China entered into a Free Trade Agreement with Maldives; the China-Pakistan Economic Corridor is in full swing and Nepal is presently increasingly inclined towards Beijing. Plans are already underway to establish a second Chinese military base in the Indian Ocean, this time in Pakistan close to the Chabahar Port in Iran, in which India has a significant stake. As China’s power and influence grows across India’s neighbours, New Delhi views this with undisguised apprehension. 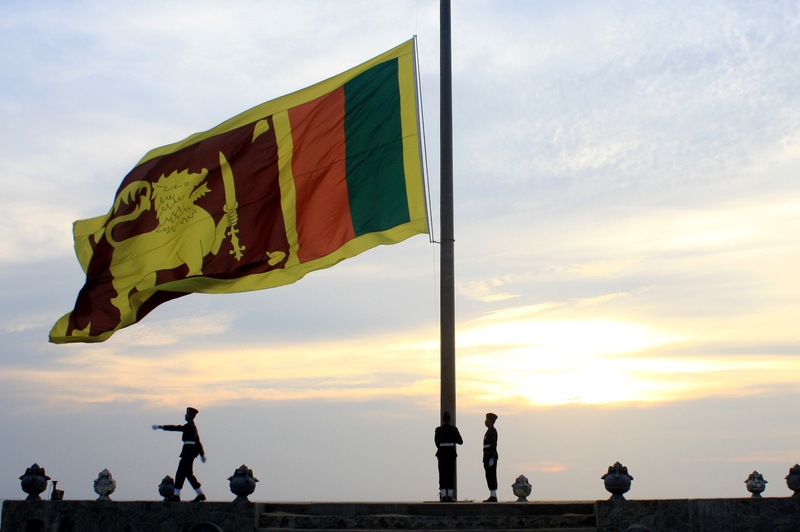 What should be Sri Lanka’s strategy in these changing and challenging times? There are diverse approaches states adopt when delineating their foreign policy. According to academics, small state foreign policy options include external balancing (building partnerships with external actors to counter a threat from the region), internal balancing (strengthening the country’s defence forces), bandwagoning (aligning with the dominant country), and hedging. External balancing has no efficacy for Sri Lanka given the lack of military threat (regionally or extra-regionally) to the island. Bandwagoning with Beijing or New Delhi as well as hedging the two powers, remains unlikely given the island’s close economic ties with both. Both options involve choosing one party over the other, something Sri Lanka is not in a position to do. To emphasise this point a simple example suffices: The island’s largest portion of FDI in 2017 is from China followed closely by India. Conversely, Chinese tourist arrivals account for 13 per cent of total tourist arrivals to the island. This is second only to India. Internal balancing alone remains impractical given the island’s weak defence capability when compared with that of regional powers. Indeed, internal balancing should be tied to a more concrete economic and political strategy. This strategy should be one of adopting a balanced approach while dealing with the two powers. A balanced foreign policy would necessitate friendly relations with Beijing and New Delhi without being partial towards one at the expense of the other. This grants Sri Lanka the ability to refrain from entangling in bi-lateral disputes between the two powers. Additionally, it allows the island to seek economic assistance from both powers while remaining neutral if and when a crisis emerges between New Delhi and Beijing. Unlike the former Rajapakse regime, the present administration appears to realise the importance of maintaining a balanced approach in its foreign policy. This is evident from President Sirisena’s 2015 manifesto, which emphasised his desire to maintain “equal relations” with both states. Not only has the island demonstrated its recognition of Indian security concerns – clearly visible by Sri Lanka’s refusal to allow a Chinese nuclear submarine to dock when the Indian Prime Minister was visiting – but President Sirisena is also keen to utilise the growing affinity between himself and PM Modi to draw India to jointly manage operations in the Mattala Airport. As recently as November last year Prime Minister Ranil Wickremesinghe visited New Delhi to meet PM Modi, and this month saw the two countries signing an MOU to enhance cooperation in areas of cyber security and e-Governance. Given the strategic competition and growing rivalry outlined above, it is inherently in the island’s national interest to balance the two powers. Not only would this promote a healthy investment climate but it would also enable Sri Lanka to cultivate amicable ties with both powers even in a context where the two may not look eye to eye. However, public outrage concerning the $8 billion of debt to Beijing and the degree of strategic competition between the two powers in the island has also raised complex issues. There are also concerns regarding the ‘debt to equity swap’ approach being followed by Sri Lanka. Will Sirisena’s decision to hand over the Hambantota Port on a 99 year lease to the China Merchant Port Holdings in return for writing-off of $1.1 billion of the island’s debt become a trademark of the Unity government’s foreign policy or will it simply be a one-off incident? Continuing to rely on borrowing for the short-term health of the economy has proven to be an impractical option. Poor economic policies in the past put Sri Lanka’s financial autonomy and policy independence in jeopardy. While the Sirisena government has expressed its commitment to rectify this, the tendency to view such debt to equity swaps as a panacea to financial problems may exacerbate tensions on the domestic front. Shakthi De Silva is a research analyst from the University of Colombo, Sri Lanka. He has previously published in the Global – E Journal of the University of California, South Asia Journal, South Asian Voices and other platforms. 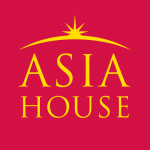 This article was first published on the LSE’s South Asia blog can be found here. Image credit: CC by Nimal Skandhakumar/Flickr.